All Istanbul Mehmet Cymbals are high quality handcrafted instruments using traditional Turkish cymbalsmith skills and techniques passed down over many generations. As such each cymbal has it's own unique sound characteristic and it is unlikely that any two examples of the same model will sound perfectly identical. 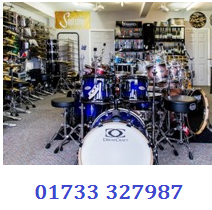 It is therefore STRONGLY RECOMMENDED that you purchase cymbals of this type IN STORE. Where this is simply not feasible and you wish to purchase on line, you can rely on our no quibble returns policy. Simply contact the store within 48 hours of receiving your purchase and we will organise a replacement cymbal to be sent asap.